Tatarian daisy is a herbaceous perennial native to southern Siberia, northern China, Mongolia, Koreas, and Japan where it grows in wetlands and meadows. It is a member of the aster family, Asteraceae, that also includes sunflowers, yarrow, and lettuce. Thick rhizomes produce a basal rosette of paddle-shaped, rough, sessile leaves up to twenty four inches long and six inches wide. The flowering stems are covered with bristly hairs and carry leaves that decrease in size towards the top. The stems branch near the top and in the fall carry clusters of one inch wide flowerheads with blue to purple ray flowers surrounding a center of yellow disc flowers that attract butterflies. Although the plant is somewhat weedy it is very late flowering and looks attractive late in the fall when most other plants have significantly declined. A good choice for back of the border or in a butterfly or wildflower garden but plants can become invasive under the right conditions. 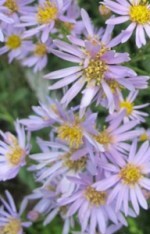 The generic name Aster comes from the Latin word Aster meaning star and refers to the form of the flowers. The specific epithet tataricus comes from Tartay and refers to the geographic area inhabited by these people where the plant is also found. 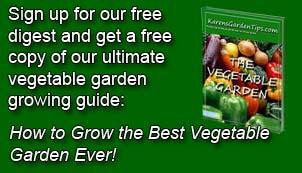 Pests and Diseases: Generally healthy but susceptible to powdery mildew, aster wilt, and boytris.